Publicly identifying yourself as a survivor — even if the narrative is uplifted by others and followed by positive support — comes with a reeling set of emotional and self-care needs. These needs require strict boundaries if you want to continue to speak with candor and sincerity. As a survivor, I didn't mention anything about Brett Kavanaugh's sexual assault allegations until I listened to Dr. Christine Blasey Ford's testimony on the morning of Sept. 27. Without her voice, I was not moved to speak about the case. Not only do I already believe women, but I needed to hear how she was treated by the Senate Judiciary Committee before I chose my words. I was very surprised by the supportive stances some of the committee members took, calling Blasey Ford a hero and thanking her for her bravery. There were demeaning and sexist tones to the hearing, of course, with her finances and alliances continuously being called into question, but there was also praise. 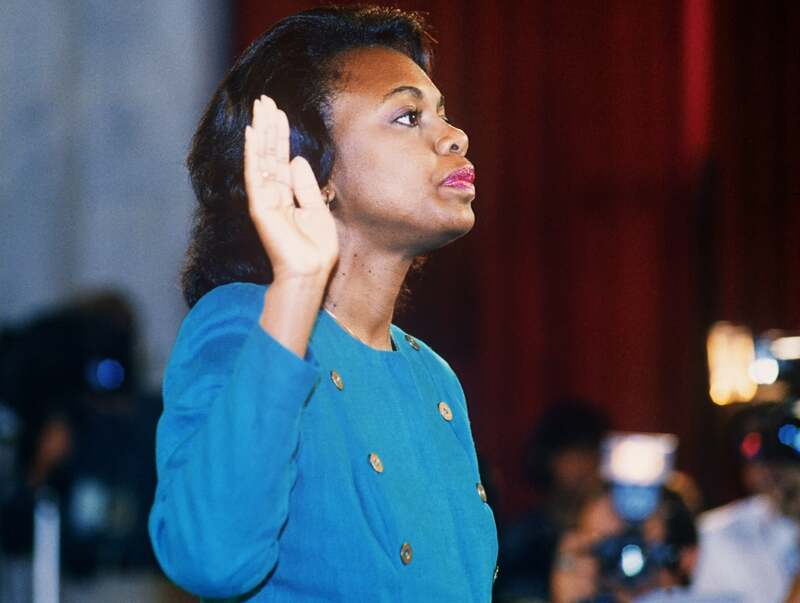 The kindness was, for me, interesting, as I am aware of how Anita Hill was verbally abused, condescended to, and intimidated in the very same room in 1991. When the #metoo movement hit, I wrote a series of articles, but the most important — and, in my mind, the most unique piece — was called "The Intersectionality of Believability." The idea for the piece was sparked by a then-new study published by Dr. Jennifer Katz in Psychology of Women Quarterly. 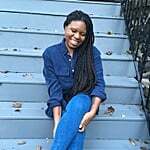 The study, "White Female Bystanders' Responses to a Black Woman at Risk for Incapacitated Sexual Assault," gave me solid backing as to the way white women movie stars who were sexual assault victims were believed and favored over predominately black women sexual assault victims like Anita Hill, R. Kelly's accusers, and many of Bill Cosby's victims. This bias, as Katz's study found and as I wrote in my piece, was likely a result of the myriad stereotypes painting black women as hypersexualized and less deserving of help when they are in unsafe and predatory situations. "We have to acknowledge that, not only because of the times, but because of racism, Hill was overrun with insults and disdain during her hearing." Because of the #MeToo movement and the changing of the times, Blasey Ford now has a possibility of affecting change for America. I think that is wonderful. But I have to make it very clear that the fact that Ford is being viewed as a hero and not as promiscuous by the Senate Judiciary Committee also falls at the intersection of racism and sexism. It is not my goal to be insensitive toward the hell that Dr. Blasey Ford has been through in recent weeks. She has wrongly endured death threats and many fearful nights. But it is important to know that Hill did not have the comfort of a community like Palo Alto, CA, where people could help pay for her security detail. Hill did not have the privilege of being praised and honored by powerful members of the Senate as to give her some comfort and meaning as to why she had to come forward. I want to make clear that I also understand that the power of the internet, GoFundMe, and viral movements cushioned Blasey Ford's painful ordeal in a way that was strictly impossible in Hill's era. But there is still one thing we can do and should do: call Hill an American hero alongside Blasey Ford. We have to acknowledge that, not only because of the times, but because of racism, Hill was overrun with insults and disdain during her hearing. Still, her bravery opened the door and gave us a precedent and background as to how these hearings can operate, so we as a culture could reckon with the public humiliation of a survivor. We must believe black women. We must believe every woman of color and transgender survivor, because if we don't, we fall into the trap of maintaining the upkeep of white supremacy. This is in no way to diminish Dr. Ford's harrowing experience and bravery in coming forward; instead, it is to give due to the black women who have endured horrors in the same rooms, the same offices, and the same platforms. It is to give due to black women like Anita Hill who paved the way for white women like Dr. Blasey Ford.